Over the weekend, we finally found out who among the second batch of teen Pinoy Big Brother Otso aspirants had their once far-flung dream come true after being declared as among the eight newest housemates of the on-going season and who among them have remained as Star Dreamers. 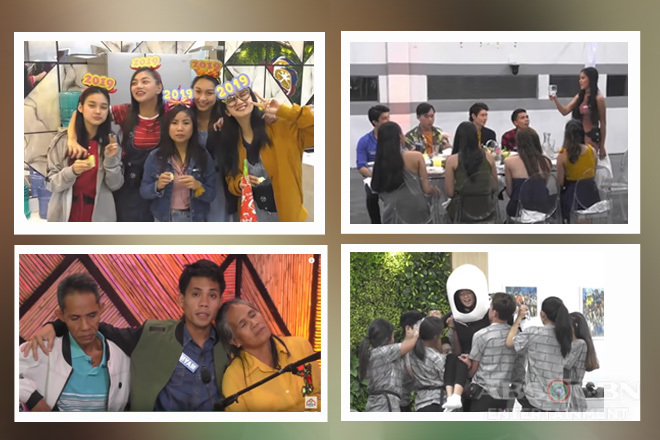 And on the April 8 episode, we were given glimpses of what transpired on their first day in the camp and in the house. It can be recalled that a few minutes after they entered the Camp Star Hunt, Jem Macatuno, Shami Baltazar, Narcy Esguerra, and Batit Espiritu were welcomed by host Alex Gonzaga by bestowing them their first team activity – to create a chant and dance steps out of the eight hidden phrases they would uncover around the house. After performing it, Alex told them that they succeeded and they could already remove the caution tapes, locks, and covers from the furniture, appliances, and rooms in the camp. However, it seemed that the four Star Dreamers still couldn’t get enough of the cheer they did, so they composed a song inspired by their mutual experiences in achieving the PBB dream. Jem, who had proven his “Fantacoustic” moniker through his unbelievable flair in songwriting and playing the guitar, spearheaded this. During their jamming session in the living room, the other four star Dreamers Gwen Apuli, Emjay Savilla, Ashley del Mundo, and Lance Carr surprisingly went in one-by-one, which obviously thrilled Jem, Narcy, Batit, and Shami. Meanwhile in the house, Big Brother tasked Angela Tungol and Shoichi Oka to come up with new steps to the “Otso Dance”, which they had to teach to their fellows Yen Quirante and Mich Wunder. Despite of the difficulties they had during the rehearsals, the quartet was still able to produce a truly impressive output. The next day, just when Angela, Shoichi, Yen, and Mich were about to prepare their breakfast, they were shocked to find out that not a single food was left in the fridge, hinting on the first budget task that they have to accomplish. 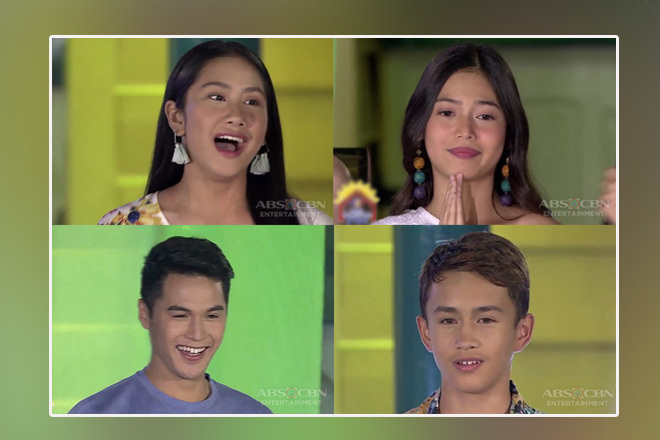 Unbeknownst to them, the last four teen housemates that would complete their grouup were already waiting in the task room – Sheena Catacutan, Alfred Beruzil, Kyzha Villalino, and Tan Roncal. In the task letter given to them, they were told to do the exciting “Blind Grocery Task”, wherein each one of them had to wear an electronic blindfold that would serve as eyes to the controller (the first official housemates) who’s going to instruct them on what to do in the playing area. Once they complete each round within 15 minutes, they would be given a corresponding grocery item and the door would open for the second unit of housemates. The first one to take on the challenge was the “Dance-Irella of Isabela” Sheena, who was amazingly guided by the “Hataw Hottie of Bataan” Angela. Despite of the difficulties they encountered during their turn, the “Responsableng Rising Son of Japan” was still able to fulfill his role as the controller for the “Promdi-Livery Boy of Lucena” Alfred with the help of the other housemates. Don’t miss the continuation of the “Blind Grocery Task” on the next episode of PBB Otso!